Mulberry at Park Heights are the first residential apartments to go on sale in the Dubai Hills master-planned community. Mulberry at Park Heights will feature many outdoor facilities including a tennis academy, an outdoor pool for adults and kids, and both jogging and bicycle tracks. Residents will have easy access to amenities including a shopping mall, hotels, schools, multi-purpose hall, healthcare & fitness facilities with steam and sauna rooms, children’s play areas and family spaces. There will be an open courtyard with water features and the bedrooms and living rooms are designed to ensure maximum natural light during the day. 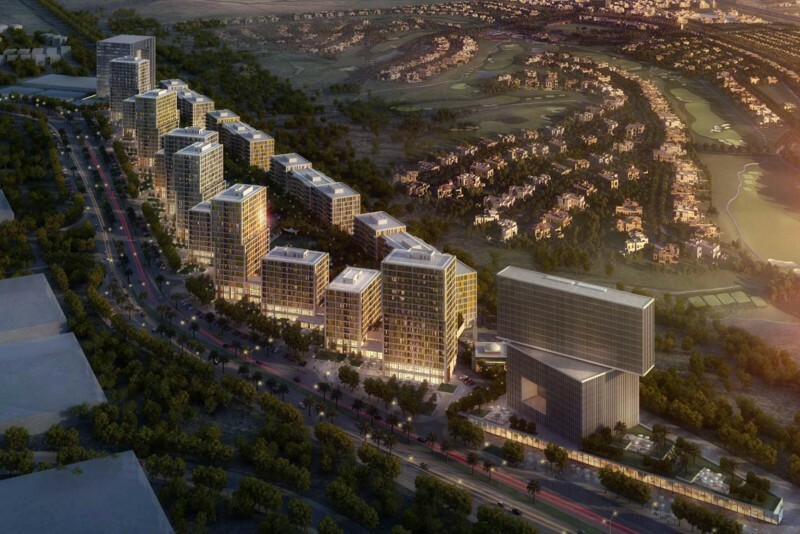 The project is a joint venture between Meraas Holding and Emaar Properties and consists of 330 premium quality apartments in mid-rise complexes. The proposed Dubai Metro Pink and Purple lines will border the development as well as the proposed Etihad Rail line. It may, however, be many years before either of these projects are built. The scheduled completion date is September 2018. One-click links to properties currently on the market in Mulberry At Park Heights. Superstructure works are complete. Blockwork is likewise finalised. Façade, finishing and mechanical, electrical, and plumbing (MEP) works are in progress. Landscaping works are ongoing. Superstructure works are complete. Blockwork is finalised. Façade, finishing and mechanical, electrical, and plumbing (MEP) works are in progress.